In the mid-70s, Polish filmmaker Andrzej Żuławski embarked on a project to adapt his uncle Jerzy's 'Lunar Trilogy' of sci-fi novels for the screen. With 80% of the film shot, Żuławski was ordered by the communist authorities to cease filming and destroy the footage. While he followed orders to cease filming, Żuławski secreted away his footage. An assembled version of the film would later premiere at the 1988 Cannes Film Festival. 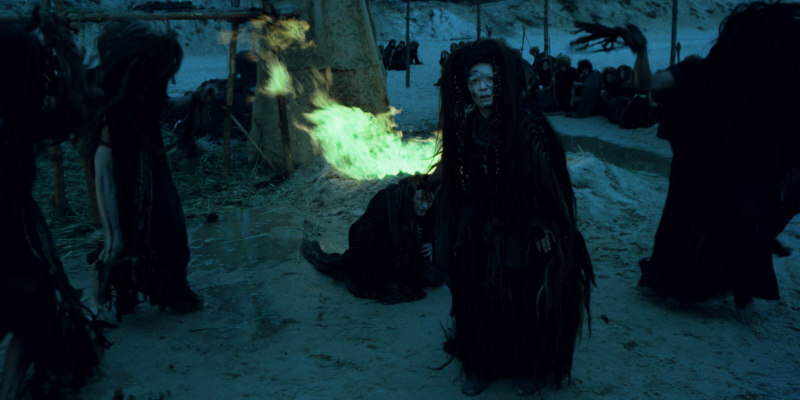 On the Silver Globe will screen as part of this year's Kinoteka Polish Film Festival in London on April 12th, followed by a talk on April 13th and an exhibition of costumes, props and ephemera from March 30th to April 13th. More info can be found at kinoteka.org.uk. To whet your appetite for On the Silver Globe, take a look at a clip below. With Earth’s civilisation in decay, a team of astronauts are sent to populate a new planet. The last original survivor Jerzy (Jerzy Trela) is treated by the emergent feudal society as a demi-god, and sends a video diary back to Earth before his death. Hundreds of years later, the video is found. Marek (Andrzej Seweryn) is sent to explore the planet, where the violent human civilisation is at war with telepathic bird-people. He is treated like a messiah by the humans, but for how long?